Internet service providers are not expected to put up a fight against prospective court orders that will compel them to block access to a number of piracy-linked websites, but the finer details of how such a block will be implemented and maintained is yet to be determined. Lawyers representing Foxtel and Village Roadshow as well as the legal representatives of TPG, Telstra, Optus and M2 today appeared in court for a case management hearing. The court case will be the first test of the government’s anti-piracy, website-blocking legislation. 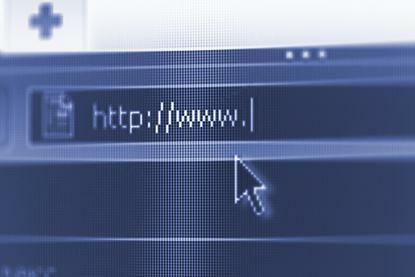 Foxtel is seeking to have ISPs block The Pirate Bay, Torrentz, TorrentHound and IsoHunt. Village Roadshow is targeting streaming site Solar Movie. In order for the Federal Court to agree to a site-blocking injunction, rights holders have to make an attempt to contact the operator of an ‘online location’ they seek to have blocked. This gives a website operator the ability to potentially oppose the application. Richard Lancaster SC, appearing for the rights holders, said that there had been “no contact from any operator of relevant online locations indicating they wish to be joined” to the proceedings, and that it was unlikely that any website operators would oppose the application. Lancaster said that rights holders had engaged in discussions with a number of the ISPs named in the applications before beginning legal proceedings and since filing there had been “fruitful and detailed negotiations” between all parties. He said that negotiations would continue with the hope of reaching a form of court order that all parties would consent to. Lancaster said that Village and Foxtel will submit evidence showing that they are the rights holders or exclusive licensees of material available from the named sites, as well as demonstrate that the primary purpose of the sites is to infringe copyright – both tests that are required under the site-blocking legislation. The applications from Foxtel and Village include both domain names and IP addresses associated with the sites they are seeking to have blocked. The rights holders have indicated they are potentially open to the use of IP or DNS based blocking. TPG this morning indicated it wanted to negotiate a domain-based blocking regime with rights holders and that it was concerned about a mechanism envisaged in the rights holder applications under which additional IP addresses could be listed for blocking. The first IP address listed for The Pirate Bay in Foxtel’s application is no longer associated with the site, TPG’s counsel said. The parties are due to return to court on 6 May.